Here's how I'm building on small wins to reach my goals. This January, Thrive is celebrating Microstep Month.Instead of setting overly ambitious New Year’s resolutions that make you feel bad when you can’t accomplish them, we want to help you revolutionize your approach to resolutions with Microsteps, Thrive’s science-backed, too-small-to-fail mini habits that you can easily integrate into your life right away. January comes and goes and, lo and behold, we are much the same as when the year started. While lofty goals sound impressive, they don’t always work. The gyms are packed in January and empty in February. Sound familiar? Perhaps this is a good year to try a new approach! As 2018 draws to a close, I’ve been reading a lot about creating lasting habits and found The Power of Habit by Charles Duhigg especially compelling. Here at Thrive Global, we call them Microsteps: too-small-to-fail actions that lead to meaningful change. I used to be fairly skeptical. I thought, “How can something so simple and so small lead to an impactful change? Nah, I don’t believe it. It has to hurt in order for it to work.” Thankfully, after hearing about something enough times and from enough sources, I’ll give it a try. Recently, I decided I wanted to add intention-setting to my morning routine. After many years of trying and a week-long silent retreat, I finally established a daily morning meditation practice. I simply wanted to add intention-setting to the mix, but I was having trouble being consistent with something that takes mere seconds to do. I’d forget! “Establishing a new habit is hard,” I thought, giving myself permission to slip. 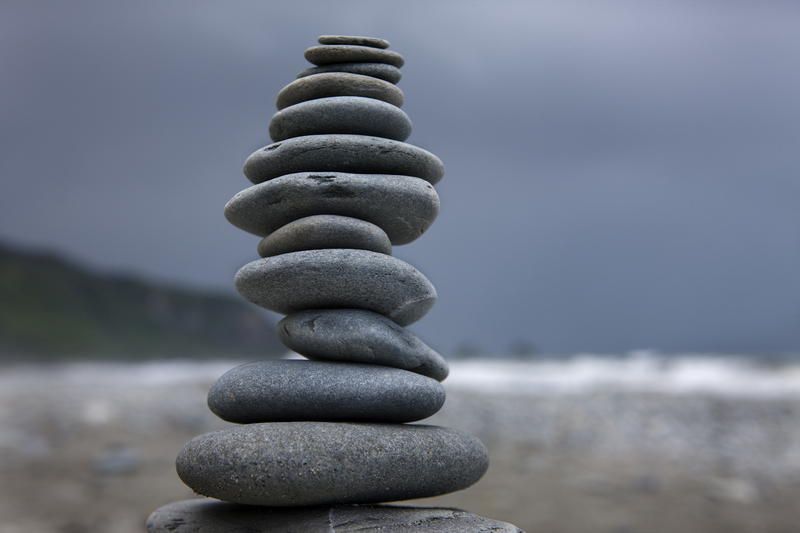 During this period of waffling, I started to see articles on habit stacking pop up in my feeds. I recalled reading about the subject in the past but hadn’t paid it much attention. I thought it could be just the trick I needed and it surely couldn’t hurt to try. I downloaded the book Habit Stacking by S. J. Scott. I didn’t get very far into the book before I had my first “aha” moment — use an existing habit! I manage to have a morning cup of coffee first thing no matter what day it is, where I am, or what’s going on. If I can build a habit stack (a simple set of routines) off of this already established habit, I should have no trouble with consistency. So with that realization and a few practical tips from the early chapters of the book, I started building a consistent morning routine. Not only am I meditating and setting an intention, but I’m also writing down my top priorities for the day. I’m a few weeks into this new routine and I’m seeing remarkable results. I’m less apt to let stressful situations impact my intention for the day. I’m more likely to confront stressful situations as opposed to putting them off. And I’m able to stay focused on the things that matter instead of getting distracted by something exciting but not important. I’ve had so much success with my morning habit stack that I’ve built a weekly Sunday stack to get myself ready for the week ahead! I am excited to see how these small changes coupled with a practical framework will help me achieve those bigger, more daunting goals. Think about one of those big lofty goals you have in mind for 2019. Now think of one simple thing you can do every day that will move you towards that big goal. When do you want to do that one simple thing? In the morning? The evening? Find an existing habit that you do consistently without fail. Drink coffee? Brush your teeth? Add your new habit stack to that activity. Now you need a tool to help you remember your stack, perhaps a notebook or a note-taking app. I use a note-taking app on my phone. I created a template checklist for my morning habit stack. After I make my coffee, I open the app, duplicate the template, and start checking items off of the list. My full list takes about 25 minutes and by the end, I’m feeling centered and ready to begin my day. Finally, don’t forget to celebrate at the end. I learned this trick when I started tacking on a steam or smoothie at the end of my gym workouts. I now have no trouble getting myself to the gym as I know what pleasure awaits. Adding a little celebration at the end helps associate the habit stack with something enjoyable and makes it more likely you will stick to it. If you want to give it a try but don’t know where to start, try signing up for the Thrive Microstep Month challenge — you’ll get a handy newsletter guide every week to help guide you along your journey. Just register for the Thrive Global newsletter to learn more. 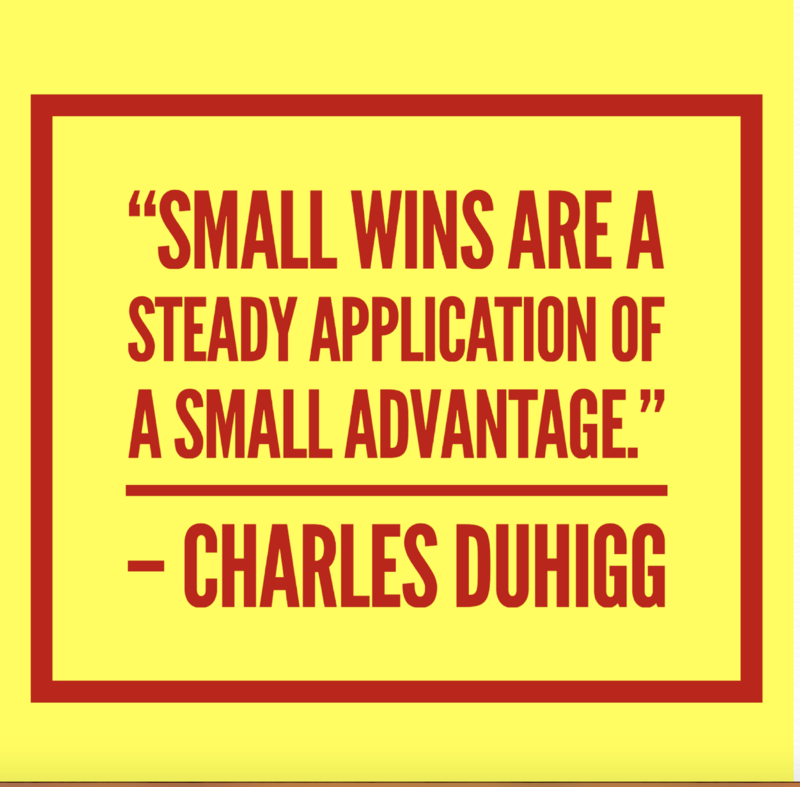 What is so wonderful about this approach is that you start off small… Too small to fail, as we like to say. But there is a really good chance you will continue to build off of your small wins, layering more and more habits that bring you closer to your goals while dumping the ones that aren’t serving you. Cheryl Porro is the Chief Technology Officer of Thrive Global. Prior to joining Thrive, Porro was Senior Vice President of Technology & Product Delivery for Salesforce.org, where she grew a team that launched multiple products for the nonprofit and education markets. Prior to that, she spent eight years leading a growing platform engineering team at Salesforce.com. Porro began her career as a chemical process engineer at International Paper and US Filter before transitioning to software engineering at companies including Amazon and DigitalThink Inc. Porro is passionate about providing equal access to educational opportunities and has volunteered and served on many boards for education nonprofits. Cheryl is an active mentor and supporter of women and girls, gender non-binary, LGBTQI and underrepresented people of color in tech through her work supporting Year Up, First Graduate, and Girls Who Code.